Have you noticed that your dryer isn’t actually drying your clothes? Or that it is taking longer for a load of clothes to dry than it used to? This can be frustrating. Instead of assuming that your dryer is on the way out, it may actually be a sign that you need a dryer vent cleaning. You already know that lint can get caught in the lint trap when you use your dryer. However, you may not realize that it can also get caught in the dryer vent hose. 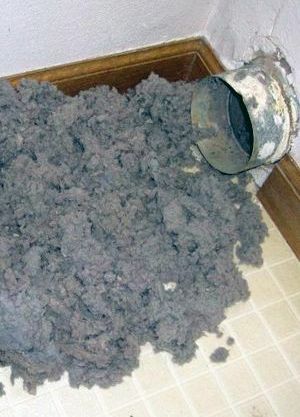 Over time, more and more lint build up gets trapped in the dryer vent, which causes the vent to clog. This can drastically reduce the effectiveness of your dryer. In order to improve efficiency, a proper dryer vent cleaning may be necessary. So, what are the signs that it is time for a dryer vent cleaning? If it takes longer for your clothes to dry, if your clothes aren’t drying completely, if your clothes feel much hotter than they normally do after you dry them, if the outside of your dryer feels very hot, if there is a burning smell after using your dryer, if there is less lint in the lint trap than normal, or if your laundry room feels more humid while the dryer is running, these are all signs that you need a dryer vent cleaning. This is why it is important to have a dryer vent cleaning performed in your home by a professional. It can improve dryer function, reduce utility bills, and reduce the risk of fire. Yes, a dryer vent cleaning can actually help to improve the safety of your home and save you money! When lint build up occurs in dryer vents, it can decrease the efficiency of your dryer unit. The result is that your dryer needs to work even harder to work properly. When your dryer isn’t working properly, you may have to dry your clothes for longer periods of time in order for them to dry fully, which adds to your electricity bill. This not only increases your electricity bill but also adds more wear and tear on your machine. A dryer vent cleaning can help to reduce the amount of electricity that your machine needs to function properly. One of the biggest issues homeowners face is the increased risk of fire. Each year, approximately 16 000 residential fires occur in Canada because of clogged dryer vents. When lint builds up in your dryer vents, the machine is working at a much higher temperature than normal. This traps hot air in the machine, which can cause the dryer to overheat – and the dryer lint to ignite. Fires caused by blocked dryer vents can leave devastating results on the home. Be sure to protect the safety of your home and family by making sure that your dryer vents are routinely cleaned by a professional. At Canaduct Duct Cleaning, we understand the importance of your safety and well being. A professional dryer vent cleaning will ensure that your dryer is working efficiently, that your electricity bill is reduced, and that your home is protected from any potential dryer vent related fires. Our professional staff will be able to handle any situation and ensure that your dryer vents are properly cleaned. Don’t neglect important dryer maintenance – contact Canaduct Duct Cleaning today to find out about a dryer vent cleaning. 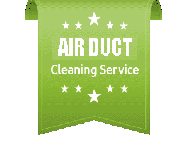 To request a dryer vent cleaning or other duct cleaning services, don’t hesitate to call Canaduct Duct Cleaning Duct Services at 416-410-3777. Our knowledgeable staff will bring their professional experience to your home in no time.